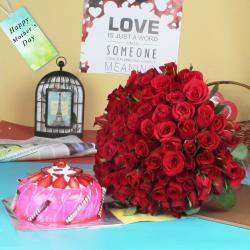 Product Consist : 100 Red Roses Hand Tied Bunch along with 1/2 Kg Eggless Chocolate Cake. 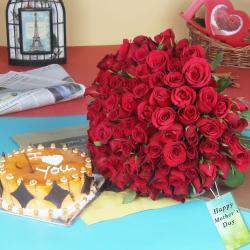 Mother' Day is celebrated every year to honour and respect a mother. The flower is a pure and beautiful creation of Nature. This combo goes above and beyond and gives mom some delicious cake treat to enjoy on her special day. 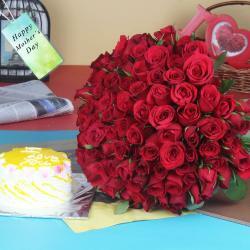 There' also fresh flowers comes with it so she' sure to keep it on display somewhere in the house or office. It' a cute little party stuff if she wants to enjoy it with dad or a friend or with relatives. Best Nature presentable gift to the beautiful lady, because of its beauty and purity would surely express our feelings easily as compare to words. Picked fresh from the farm to offer your special recipient a bouquet blushing with an unforgettable grace, the Sweet Emotions hamper is set to bring a soft beauty straight to their door. Whenever your mother get this kind of gift hamper its like she feels that she is in heaven of love with all the happiness of the world. 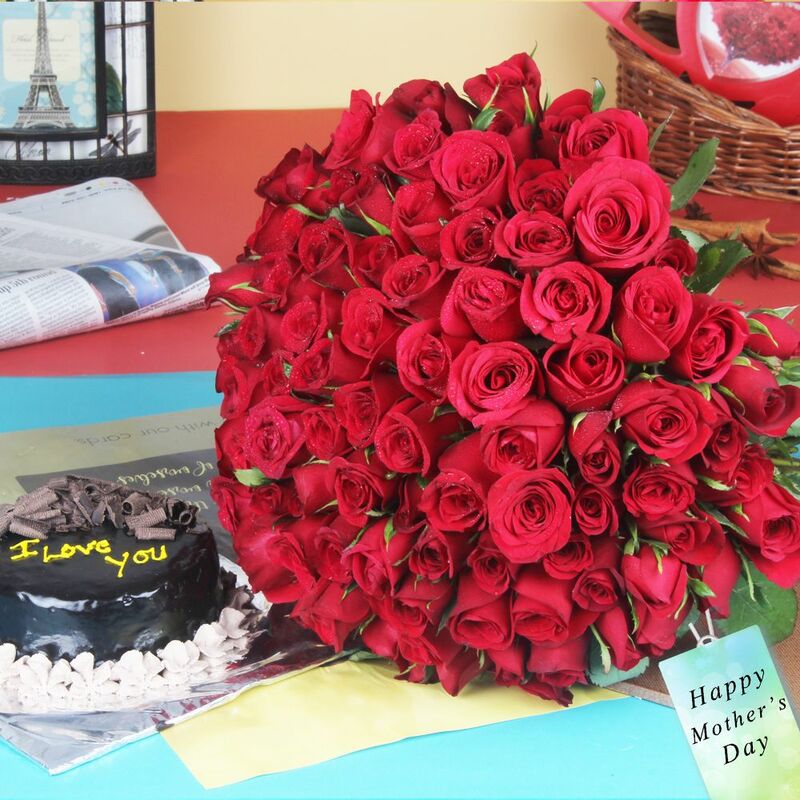 Giftacrossindia.com brings to you this awesome gift items like Hundred Red Roses Bouquet with Chocolate Cake, which is all set to make your Mom to feel more special. 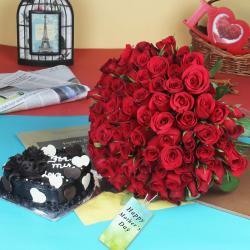 Product Includes : 100 Red Roses Hand Tied Bunch along with 1/2 Kg Eggless Chocolate Cake.